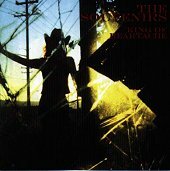 The Souvenirs, Seattle's five-piece honky-tonk act, crank out country ballads, heartbreak and heartache anthems, and tales of hangovers upon hangovers. They bring back the good old country music that country music once represented, not this Garth Brooks, over-produced, no style music that has become known to the masses as "country." One listen to The Souvenirs and you'll quickly remember why you like country music and why in the fans of real country music it's still alive and kicking. Their songs are tear-jerking, sad ballads that, although depressing and full of pain, have a sense of familiar comfort to them that attract you and make you realize everything is indeed alright, and that others out there are going through troubled times too. But, you don't have to just be in a downer mood to listen to them. Their songs are tender, honest, and full of real-life blood, sweat, and tears, which, again, help give them a universal feel that will attract you and find you listening to them throughout the good and bad times in your life. "One Less Fool" is a twinkling, bouncy number; the rhythm section jumps around, giving you plenty to smile and dance about, while the guitar slides through with a soft, slick sound sure to make you feel welcome. The pedal steel is the emotional pull (besides the vocals) that puts the tears in your eyes and thoughts in your head, though there is always plenty to dance and enjoy. So, you get to pick whether you want to cry in your beer while listening to this or if you want to get up and really get into it. "1000 Miles Away" is a Chris Isaac-gone-country ballad. It is tender and soft, but takes on a tough-guy approach as the singer comes to terms with the fact that his girl doesn't love him, deciding to move on and try and get over it. Then there is "Cherry Lips," a bouncy, good time rock 'n' roller that takes you back to the time when rock 'n' roll was fun and rebellious. The piano stomps through the song while you get up and shake your thing. "Born Just to be Blue" is a clear-cut crying-in-your-beer song that will jerk your heart and drag the tears out of your eyes. But hey, everyone needs to clean out his or her internal sorrow, and here is a song that can help that. "Your Old Used To Be" finds the band rocking out once again. This time keeping the country in full perspective while not shying away from a bouncy rhythm section coupled with jagged guitars that make you want to dance. Rarely is there a band that is so focused on country that really knows what it means to play good country music. Here is a band that would put Nashville to shame; and on their debut, no doubt. I'll give this album an A.